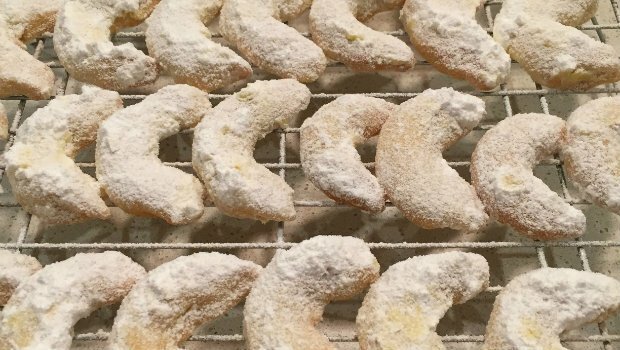 These Greek almond shortbreads, drenched in icing sugar, are one of my favourites. 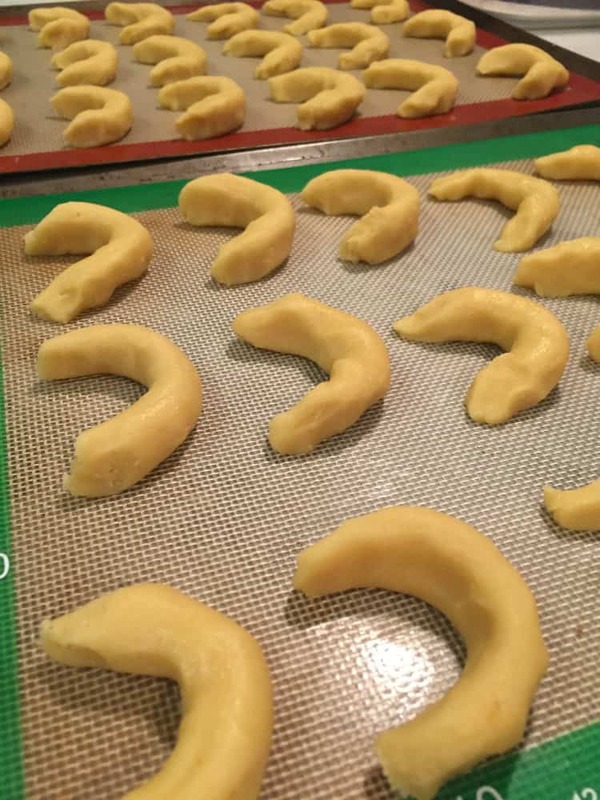 The recipe is very straightforward, however they are a little time consuming to make, depending on how pedantic you want to be with getting all the crescents to look the same. 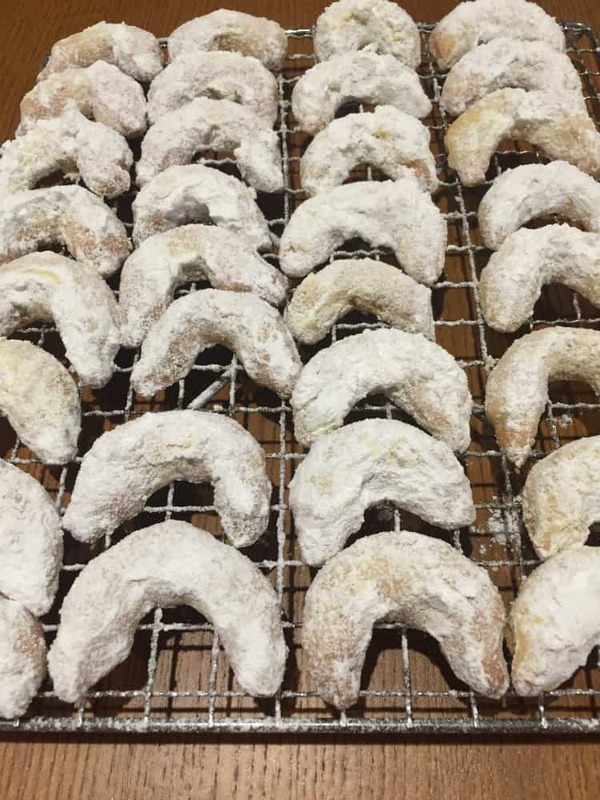 Also they can make a bit of a mess due to all the icing sugar, and the need to work fairly quickly once they come out of the oven. Despite this they are well worth the effort. Give me a cup of coffee and plateful of these and I’m a happy woman. Preheat oven to 160 degrees C. Line biscuit trays with baking paper or a silicon mat. Place the butter and icing sugar in a food processor and mix until light and fluffy. Add the orange zest and vanilla, mix well. Add the egg yolks and continue mixing. Sift the baking powder into the butter mix, and add the ground almonds and flour. Mix until you have a soft dough. Take a handful of the dough and roll into a thin sausage. Cut into lengths about 8 cm and form into a crescent, with the edges sloping into a point. Place on trays and bake for about 15 minutes or until slightly browned. Meanwhile sift the extra icing sugar into a large bowl. When the biscuits are cooked, allow to firm up for a minute or two then dunk into the icing sugar, making sure each biscuit is well covered. Sift remaining icing sugar over the top of the biscuits.